Discussion in 'Effects, Pedals, Strings & Things' started by 2061X, Feb 8, 2012. 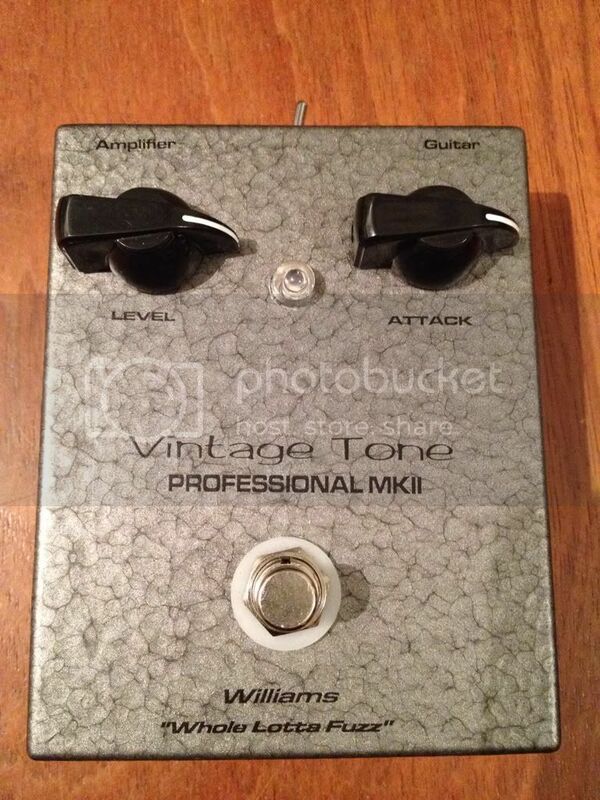 Yesterday my new Williams Vintage Tone MK11 Professional OC81D arrived. I ordered it few weeks ago from Williams Audio. The man behind this company is Nick Williams, who is a great guy to deal with. The customer support is top notch and he responds to mails as prompt as possible. He is very enthusiastic and obviously very passionate about his work. Looks good. Where do people come up with the 81D's ? Unless I missed it, I didn't see a price. I assume $300 to $400. Are they based in the UK ? If you could post a clip, that would be great! If I remember correctly, he won a large lot of the green sleeve ones on ebay (they didn't go cheap) and there are other sources left but they dry up quickly. Nick's a cool guy and definitely knows how to tune a nice Tone Bender (I've owned 3 now). He is based in the UK. Glad to hear you are pleased with the Williams MKII, Nick is a great guy and tunes the TB circuits with lots of mojo to the old school 60's vibe. His customer service and communication are top notch. Here are some pics of my MKII from Nick that I purchased last year. Williams Audio is located in the UK as itkindaworks already mentioned. The price was £245 (includes shipping) which in my opinion is a great price for a pedal with such rare transistors and such high built quality. For me - I live in the Netherlands - buying from the UK (as opposed to eg. the US) also has the advantage of not having to pay import taxes. Unfortunately, I don't have the equipment to make a decent clip. Maybe I can borrow something; I'll look into that. @zerorez: your review was among the ones that pulled me over to buy this pedal, so thanks for that! Nick is a top notch builder and person!!!! I have a MKII with the OC81 (not the D) and it is awesome!!! I'd also love to hear clips of the OC81D!!! I've just ordered a mk.II and a Ranger . I must say that Nick Williams is a great guy and always online to help . Can't wait for the pedals . I also have a OC81D and it's great. It doesn't have a led and that switch that I don't know what it is. And Nick is a great guy to deal with. I want a MK.1 and when I have the money I will order it from him. P.S. - And now for the Eric Johnson moment: change that Duracell Pro battery to a Duracell Ultra or Plus. It will sound even smoother. 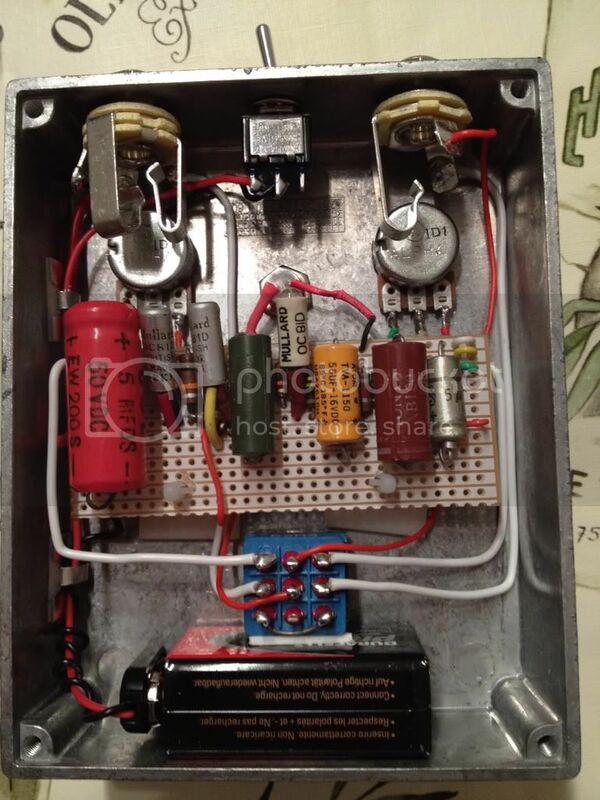 Just a battery kill switch for the pedalboard usage, so you can leave the patch cords plugged in.